It might be hard to “Billieve,” but once upon a time, going to see the Bills or Sabres play was all about rooting for a team and paying attention to the game. There were no blooper reels on the Video Big Board. There were no LED ads whizzing around the stadium at 35 mph. There was no officially-sponsored train sound or horn telling you when to cheer. Entertainment at the game was driven by two things: the team and its fans. Formed in 2009, the team received national media attention when fans chose the “Blitzers” as the team’s official nickname – a nod to Buffalo native, Kenmore West alum and CNN anchor Wolf Blitzer. In addition to getting a shout out from CNN, another media feather in FC Buffalo’s cap is its victory over the Bedlington Terriers of England’s Northern League. Owned by local mogul Bob Rich Jr., the Terriers were flown over in 2011 for a brief North American tour that included a match at All-High that was billed as the Lord Bedlington Cup. The lower-level British team’s entire trip and game here in Buffalo was covered in a documentary for BBC News. Admittedly, the games this season probably won’t garner international attention, but that doesn’t mean there’s no reason to go out and support the area’s premier men’s soccer team. All-High Stadium itself is a cathedral to local amateur sports and even stood in for iconic Wrigley Field in the 1984 film The Natural. Another reason to catch an FC Buffalo game is passion personified in the form of the men and women of The Situation Room. TSR, as it’s known, is the soccer team’s official supporters group and they make their presence known throughout every home game by singing, chanting and playing drums in support. TSR member Brandon Chiarmonte told me that the group came together as strangers and over the years, they’ve developed friendships along with a catalog of songs and chants that either celebrate our boys or throw shade at the opposition. Chiarmonte said the fan-driven noise at All-High is custom-made for fans who wish crowds at the Ralph or First Niagara Center were more vocal. For those looking to embrace the more social aspects of gamedays, The Situation Room and other supporters gather at Mes Que on Hertel Avenue before and after every home match. Food from The Black Market Food Truck and Frank’s Gourmet Hot Dogs and non-alcoholic refreshments can also be had during games at All-High Stadium. 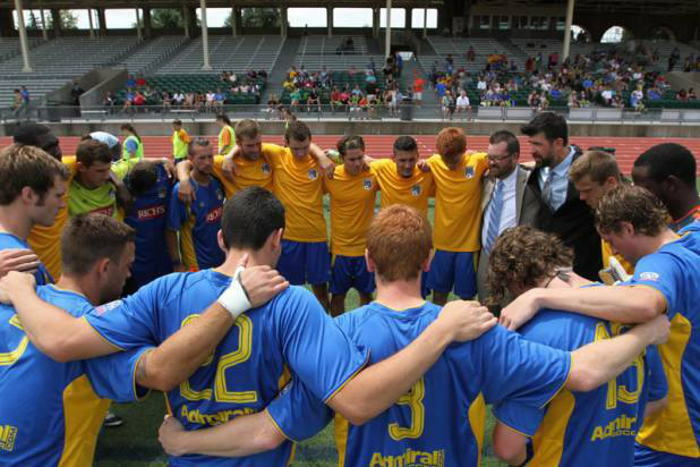 The team’s games run through mid-July, and possibly into August if the Blitzers go deep into the NPSL playoffs. 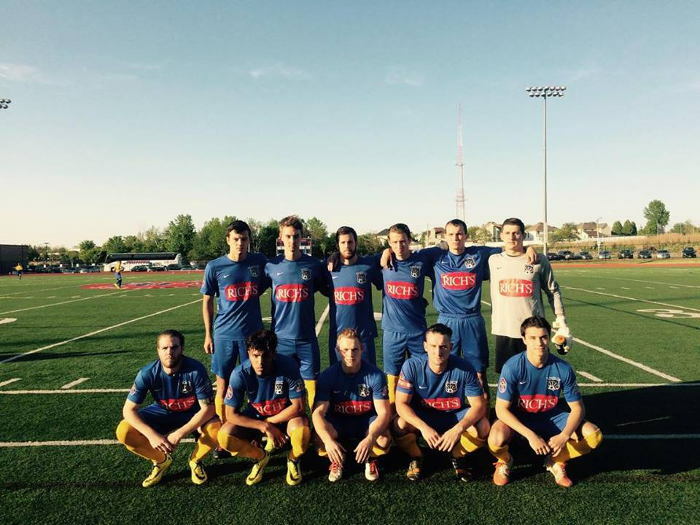 For more info on FC Buffalo, check out their website and follow them on Facebook and Twitter.